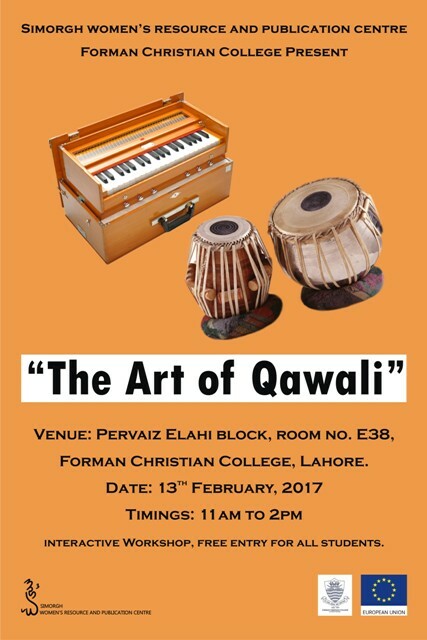 Ewing English Society cordially invites you to The Art of Qawali in coordination with SIMORGH Women’s Resource and Publication center. This workshop will enlighten FCCU students on the following domains. 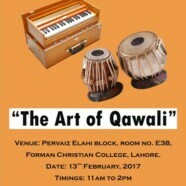 Importance of Music In society. Join us on Monday 13 February 2017 In E-038 from 11:00 am to 02:00 pm.